THE rejection of three franchise bids involving Stagecoach Group has brought a worsening railway pensions crisis into the open. It may have also deepened the divisions between the Government and franchise-holders. The Department for Transport said Stagecoach had tried to change the rules underlying bids for East Midlands, South Eastern and the West Coast Partnership to limit its liability for pension funding. Stagecoach Group chief executive Martin Griffiths had warned that ‘without ongoing Government support for the long-term funding of railway pensions, the Pensions Regulator has indicated that an additional £5 billion to £6 billion would be needed to plug the gap’. The Pensions Regulator has been considering the situation on the railways for a while, and said in June last year that the deficit had increased from £4.8 billion to £7.5 billion in just three years, ‘which drives our desire to ensure substantially more cash is paid into the sections, commencing in the short term’. 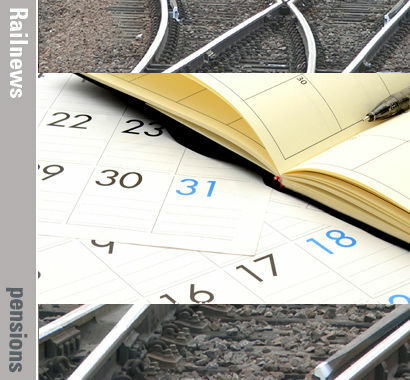 The Rail Delivery Group had been alerted to the problem by pensions consultancy Hymans, and the RDG’s answer was that the costs should be divided between the franchise-holders and the DfT. However, according to the Pensions Regulator, the DfT has remained ‘consistent’ that pensions should be sponsored by private sector companies ‘that must take responsibility’. The Department has justified its stance by saying that ‘Stagecoach chose to propose significant changes to the commercial terms for the East Midlands, West Coast Partnership and South Eastern contracts, leading to bids which proposed a significantly different deal to the ones on offer’. It has also been revealed that RDG chief executive Paul Plummer wrote to rail minister Andrew Jones on 1 April, warning him that unless the funding responsibilities for railway pensions could be shared, the consequences would be ‘severe’. The DfT has yet to reply. Meanwhile, Virgin founder Sir Richard Branson has warned that the failure of his company’s bid for the West Coast Partnership, which had been shared with Stagecoach and French operator SNCF, could mean the end of Virgin Trains. The present West Coast intercity franchise, which is run by Virgin and Stagecoach in a 51/49 partnership, is set to end at 02.00 on 1 April 2020.